All Arrow customers enjoy our first class customer service. We want to provide you with the very best experience every step of the way. We get amazing feedback from customers directly and on Google. We’re Obsessed with Customer Service! Arrow like to do things differently unlike most Telco’s so we say no to call centres! We want to get to know you and your business so that’s why we have a team of dedicated Account Specialists who will be your regular point of contact and support you throughout your relationship with us. Ready to take the next step? Contact us today to discuss your business needs. Jason from Arrow Voice & Data has provided excellent customer service in relation to a carrier based data speed issue. He actioned a fault request quickly and then kept me informed at each step along the way until the issue was resolved. The Arrow Team took the time to make sure that I understood each element of the process in a very professional manner. From the initial chat to installation, I found the turn-a-round time was excellent and quite easy. Growing my business now is a reality using the Arrow Solution!! Having been a customer of Arrow’s for some time, when we relocated our office we called upon Arrow to assist with our move and set up of our new phone system. I found Arrow’s customer service outstanding from start to finish. They exceeded my expectations in every way. Very responsive, good sense of urgency with the relocation and reassuring. Really showed they cared about our order. As a busy small business owner, I really appreciate the superb customer service I get from Arrow Voice & Data. 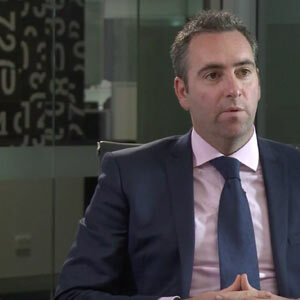 Nick Bedford from Belle Property discusses how Arrow Voice & Data's Turn Key Telecommunications solutions have benefitted his business from day one.